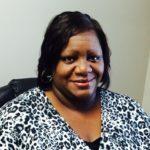 Dr. Tina Fleming EdD, CPCS, LPC, CRC is a native of Bainbridge, Ga. She has over 14 years working within the counseling profession, Her experience includes working with three distinct populations of substance abuse counseling, mental health, and rehabilitation counseling. She has worked both in-patient and out-patient settings.Her experience includes working with children and their families, adolescents and adults. She currently holds the credentials of her doctorate in Counselor Education and Supervision, Certified Professional Counselor Supervisor(CPCS), LPC(Licensed Professional Counselor), Certified Clinical Trauma Professional (CCTP) as well as a CRC(Certified Rehabilitation Counselor). She is a member of the National Rehabilitation Assoc., ACES, IATP, LPCA of Georga and NAADAC. Copyright ©2016 New Beginnings Community Outreach Program.